Rock paintings, or pictographs, and petroglyphs are located in many areas across Canada, and they constitute Canada's oldest and most widespread artistic tradition, brought into Canada by its earliest occupants during the last Ice Age. Rock art in much of Canada is thought by archaeologists to be linked with the search for helping spirits and with shamanism - a widespread religious tradition in which the shaman’s major tasks are healing and prophesy, along with the vision quest. 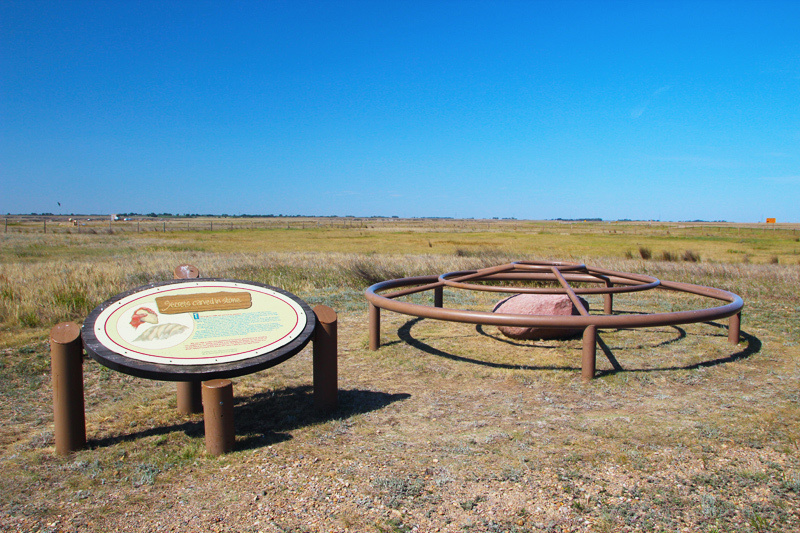 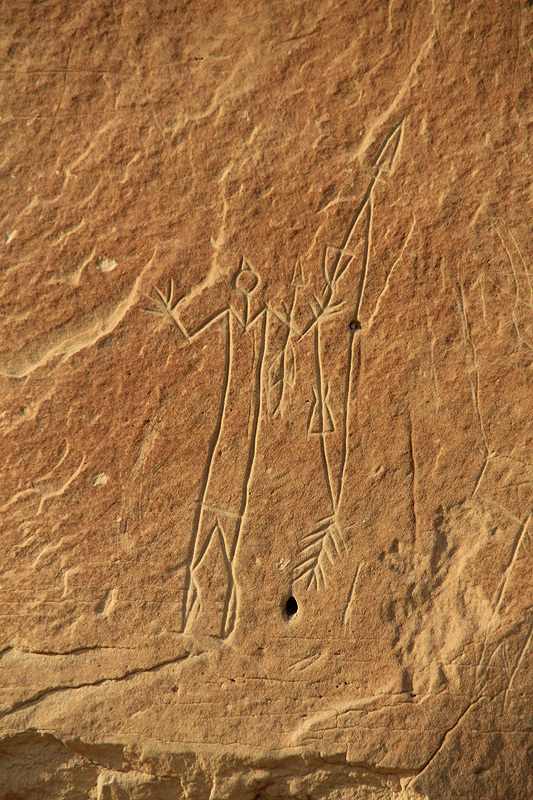 Several broad regions of rock art 'style areas' have been distinguished, including the Maritimes, the Canadian Shield, the Prairies, British Columbia and the Arctic. 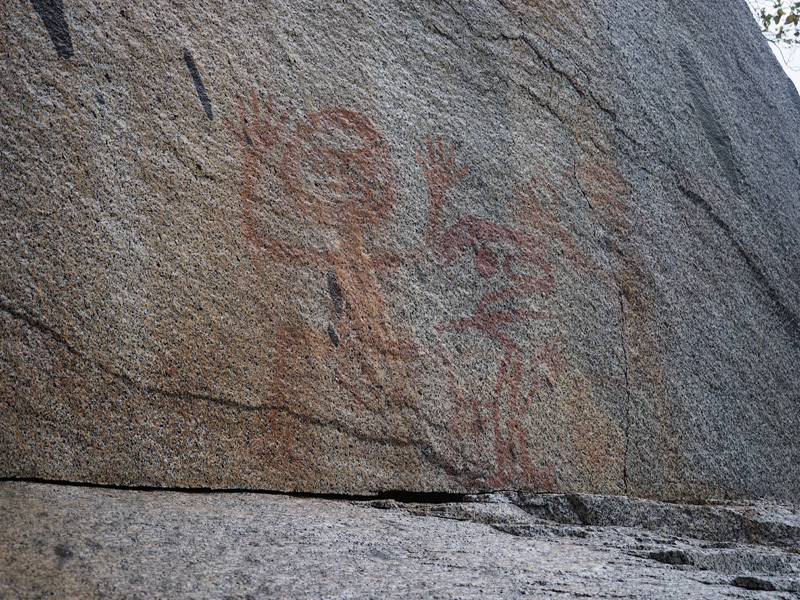 The Bradshaw Foundation Canada Rock Art Archive will aim to present examples from all of these style areas. 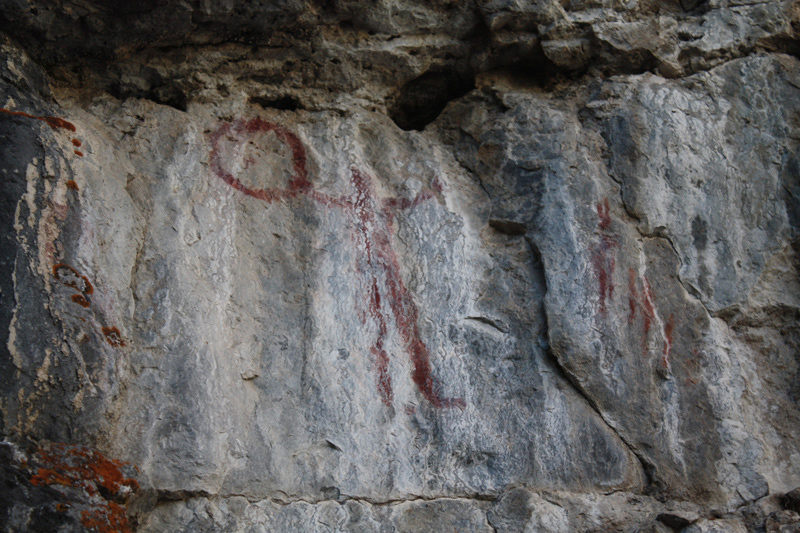 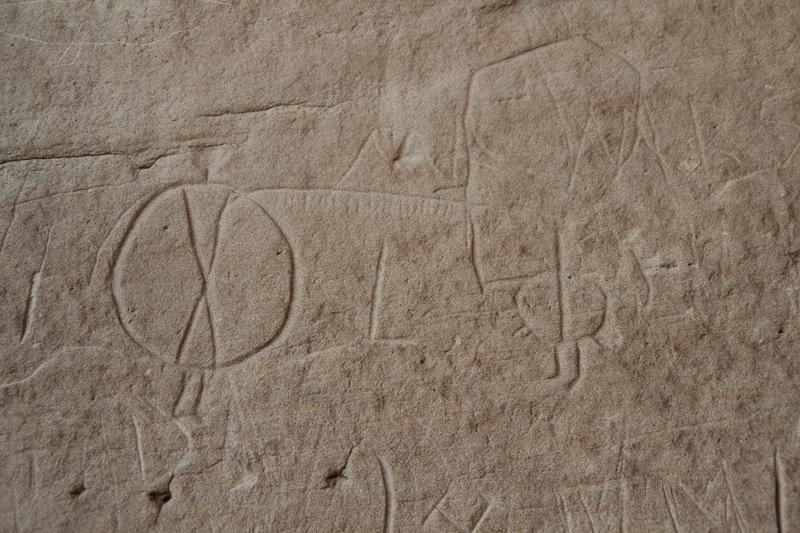 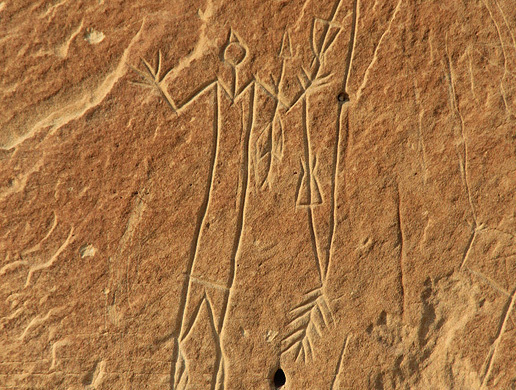 Pictographs and petroglyphs in Canada were first mentioned by explorers, travellers, and settlers as early as the late 18th and early 19th centuries. 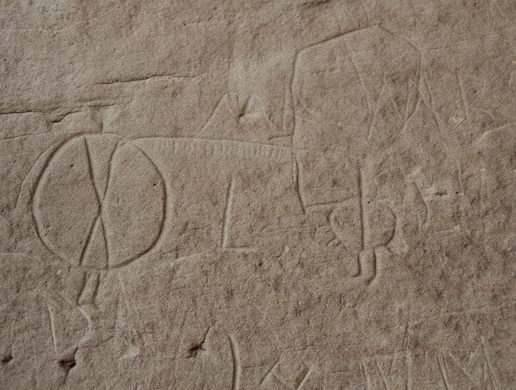 But significant records and studies appeared only after 1850. 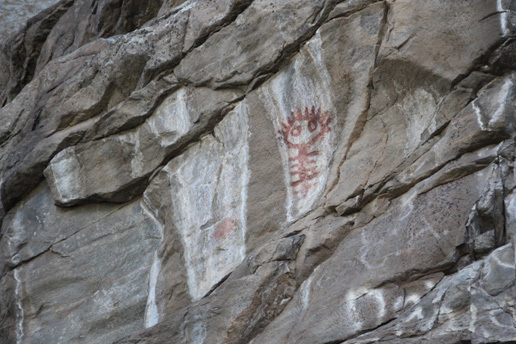 The first to illustrate and interpret pictographs from the point of view of the native people themselves was Henry Rowe Schoolcraft, a US Indian agent stationed at Sault Ste Marie, Michigan, in the early 19th century. 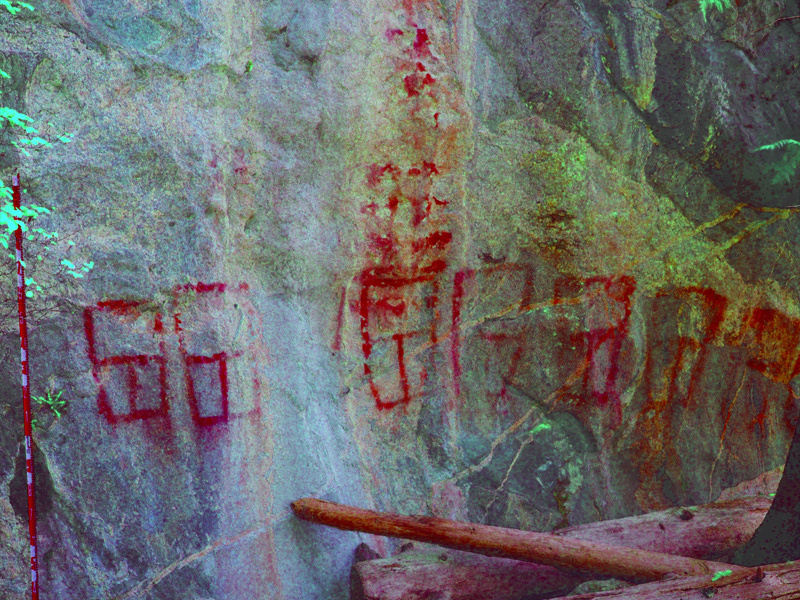 He described the Agawa pictographs at Wawa, Ontario, and wrote on the practice and meaning of pictography among Algonquian speakers of North America in a 6-volume publication dated 1851-57. 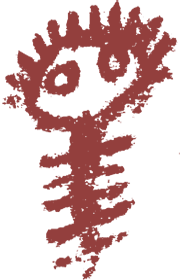 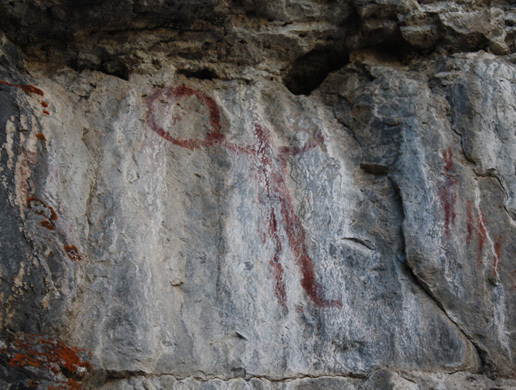 Research in Canada has tended to focus on the interpretation of both the function and meaning of rock art in the context of native culture and on the relationship of pictographs and petroglyphs to other forms of native visual expression. 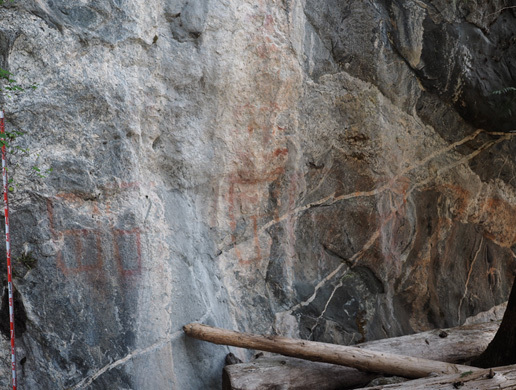 However recently, research has shifted towards the study of the surrounding landscape and the integration of rock art sites in a broader geographical and 'landscape' context.